is it taco tuesday for you? 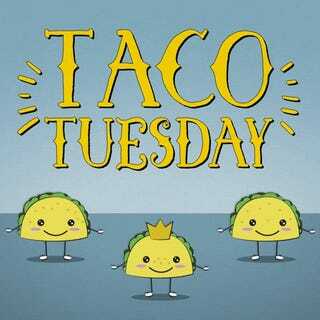 i may have tacos today, why not?? you know when even if you love your job, you just kinda don’t feel like working? that is soooo me today. but it’s cool. i have a couple meetings that are important today, and i have to call the mechanic i went to over the weekend to get some pricing on something. that’s all that i have on the vagenda. how goes it? what is your day looking like?